The amount of space we have for our so called mudroom is what I would classify as a passageway. A small space that juts off the entry with a door to go down to our basement. The space is no more than 2 feet deep and 4 feet wide. This space will have to serve as the 'so-called' mudroom - a place to hang your coats and take off your shoes when you come in from the outside. 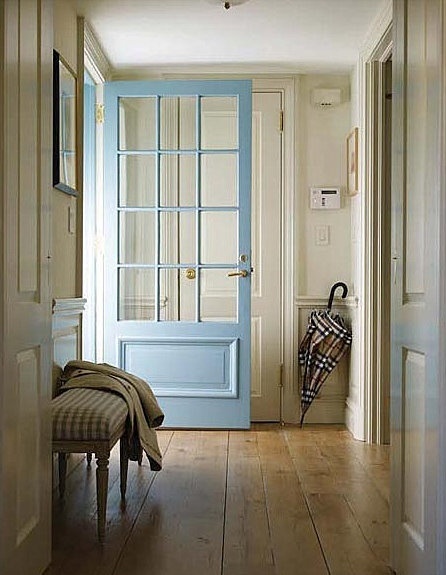 Luckily, we also have two hall closets by the powder room which can house coats and jackets not used on a daily basis. 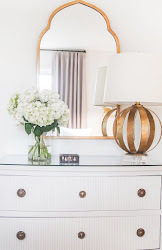 This space is priority right now because currently everyone drops their jackets and shoes on the kitchen floor when they come in from the outside and it is driving me nuts! Since this space is just a passageway, many of the below photos are my inspiration. 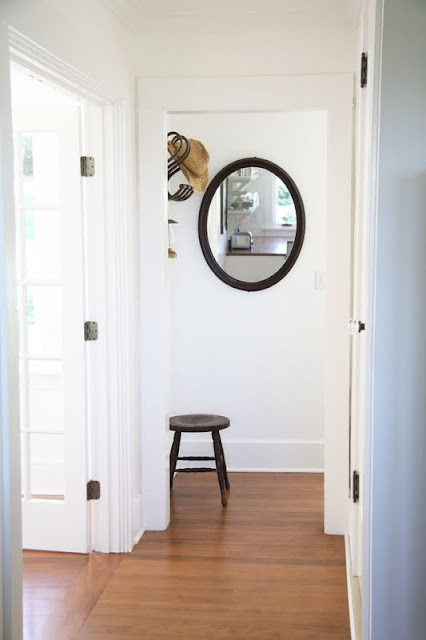 A passageway is just enough space for some type of coat/hat rack on the wall. Hopefully, I can find a small bench to work in the space too! 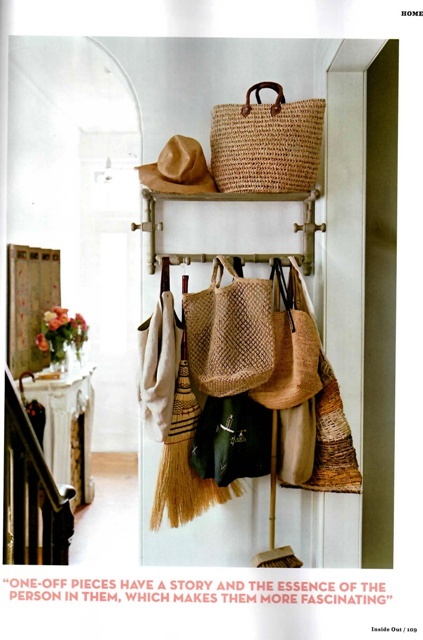 Have you noticed (in the above photos) that all the hooks used are some type of one of a kind coat/hat rack? Mostly, vintage. I love that! I've been scouring ebay and etsy for some one-off pieces. There is so much out there you guys! It has been really fun. I need to make a decision fast, though, because it won't be long until we also have hats, mittens and boots to add to the mix! Wish me luck! Keep looking, Fran. I'm sure you'll spot a great vintage piece on Ebay or Etsy (or a local antique shop--what about Three Ladies Antiques in West Hartford? I've had luck there before). I've been catching some of these pins from you on Pinterest and loving them. Have you scouted out a lot of vintage or consignment furniture shops in the area yet? We've also used the Levsik (sp?) hooks from IKEA which are really sturdy and have held up well - you could always do something creative with those as well. And they're dirt cheap too. Sounds like you know what you want for this little area which is great. Good luck! I know it'll all come together for ya and I can't wait to see what you come up with! Well, you and me both, Fran. I'm working on the breakfast nook now, but after that's done, I'm moving on to the laundry room, which is really a passageway, but where I plan to put the Levsik hooks that Holly and Kat are talking about. I also just bought a small shelf at Ikea that I'm going to upholster and add furniture legs to. You've seen those tutorials, right? Also, I really like using a double row of hooks -- one for the little to reach and one for the bigs.